Kelly Travis is pregnant with her first child. The former The Bachelor bachelorette is expecting a baby with her husband Hunter Hamm. Kelly announced the big news Friday on Instagram by posting a photo of her sonogram resting in a bed of multi-colored confetti. "Hamm in the oven! So excited to announce baby Hamm is due June 2018 #thankful #hammintheoven," the 31-year-old marketing executive captioned the sweet picture. Kelly found fame when she competed on The Bachelor's eighteenth season starring Juan Pablo Galavis. Dubbed a "27-year-old dog lover from Atlanta, GA," at the time, Kelly was eliminated during the fifth episode's Rose Ceremony. While the season was airing in January 2014, Kelly told reporters during a conference call that she didn't exactly envision Juan Pablo as her future husband while competing for his heart. "I need more than just a few one-on-one times to say, 'This is husband material.' So I saw a great guy at this point, and obviously I want to end up with a great guy, but it wasn't one of those things where I was like, 'Yes! This is the one that I want to spend the rest of my life with,'" Kelly said before her elimination aired, adding that she doesn't believe in love at first sight. "That's just not how I'm wired, and some of the other girls are. It's just not me -- at all. So I'm definitely at a point where it's like, 'Oh he's fun and I want a deeper connection,' but up to this point, I'm not head over heels in thinking he's my husband." 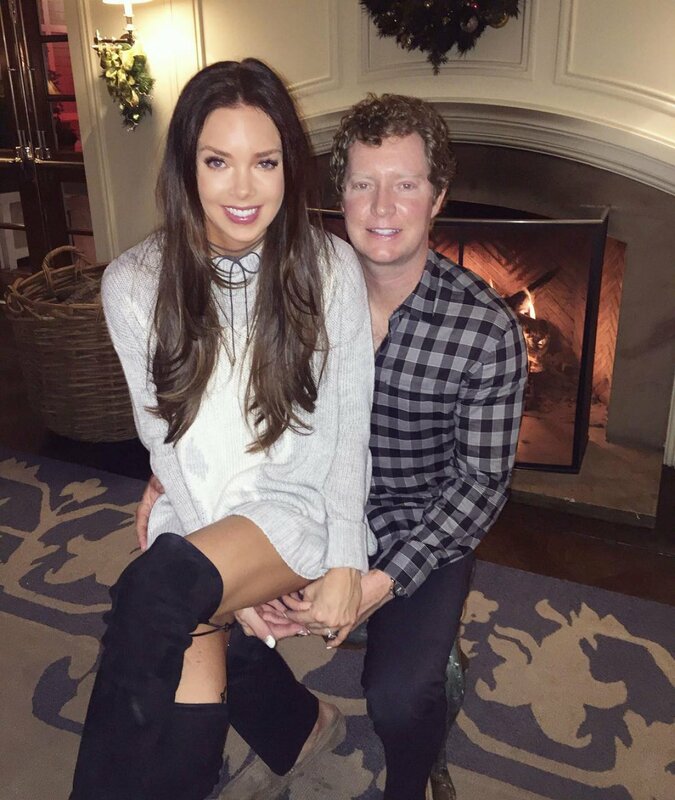 Kelly -- who was voted one of the 20 Most Eligible Atlantans by Modern Luxury magazine in 2013 -- talked to the magazine in 2015 about her relationship with Hunter, whom she had dated for four years prior to appearing on The Bachelor. While The Bachelor was filming, Kelly told Modern Luxury, "I found myself wishing I was with Hunter, instead of all the incredible places the show was taking me." Once Kelly's time on the show was over, she returned home, where Hunter picked her up at the airport. "We have spent every day and night together since," Kelly said at the time. Kelly and Hunter, a financial advisor, got engaged during a romantic seaside dinner in Jamaica in November 2014. The couple later tied the knot in May 2016 in Atlanta.